It was undoubtedly a disappointing day for the jailbreak loving world when Nicholas Allegra (Comex) publicly announced his departure from the community as a result of accepting an internship at the company he had worked so hard to circumvent in the few years prior. We will never really know if producers of jailbreak tools and tweaks do so in the hope of becoming known by Apple and ultimately offered dream employment with the Cupertino company, but after a year working the fruit Company, Allegra is officially flying solo once again. 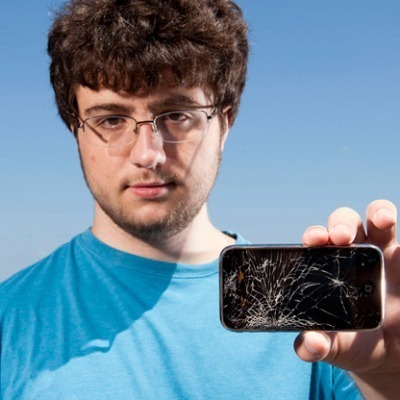 The 20-year old student who carries out his daily studies at Brown University is better known to the community by his online moniker Comex and is responsible for some of the simplest to execute but most technically complicated jailbreaks that we have seen in recent times. Jailbreak offerings like JailbreakMe removed the need for iOS devices to be tethered to computers go through the jailbreaking process and instead took advantage of vulnerabilities in Mobile Safari to execute a jailbreak directly on the device through Apple’s own software. Rather than connect a device to a computer, invoke a software procedure and mess around with processes like DFU mode, Comex’s methods devices to be liberated by simply vesting a website on the device itself. Comex took to Twitter to inform his many followers that his time with Apple was officially over. His tweet didn’t exactly go into the intricate details behind the parting, choosing to focus purely on the fact that he was no longer an employee of the company. So… no point in delaying, as of last week, after about a year, I’m no longer associated with Apple. A simple tweet, to the point and more than capable of injecting a bit of excitement back into a community that are waiting patiently for any news regarding progress on an iPhone 5 or iOS 6 stable jailbreak. It’s more than likely that we will never know the real reason behind the split. The iOS security enthusiast has stated that it boils down to his forgetting to reply to an email from the company that was an offer to continue his employment with Apple as a remote based intern. It seems that when an offer is on the table you either accept it or it is quickly revoked. However, in a telephone interview with Forbes, Comex himself admitted that things were a little more complicated than just a missed email although he wouldn’t elaborate on that statement. Apple’s loss could potentially be the jailbreak community’s gain, but it doesn’t look like Comex has any intention of jumping right back into where he left off or even if the terms and conditions of his Apple contract even allow him to work on jailbreak methods at all. We can sit back and watch this one unfold, but for now if you have any intention of purchasing a Wii U when they are released then you might want to pay attention thanks to a Comex follow up tweet stated "hear the Wii U is coming out in a month".